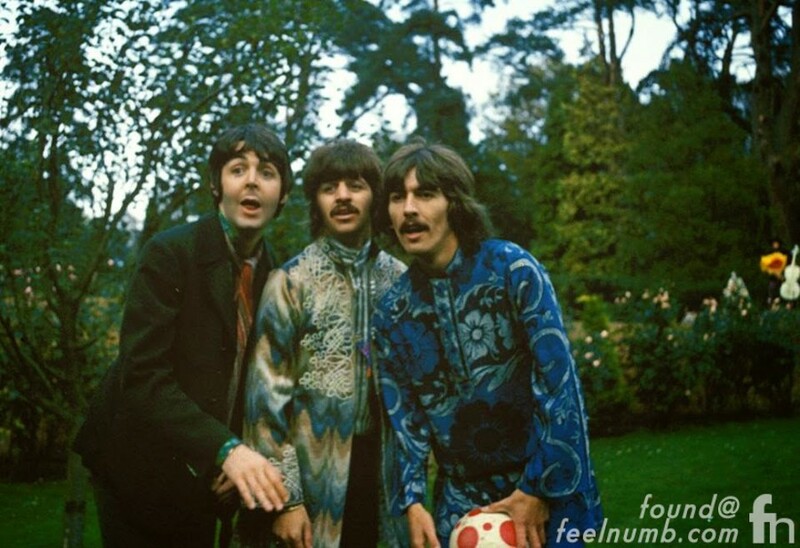 Check out these cool promotional photos of The Beatles taken in 1967 for The Beatles “Magical Mystery Tour” movie. 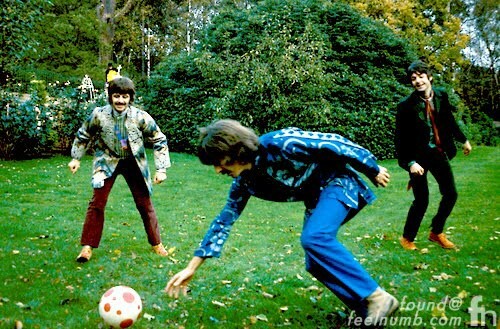 These rare photos show Paul McCartney, Ringo Starr and George Harrison as they were filmed and photographed playing soccer in a backyard setting. 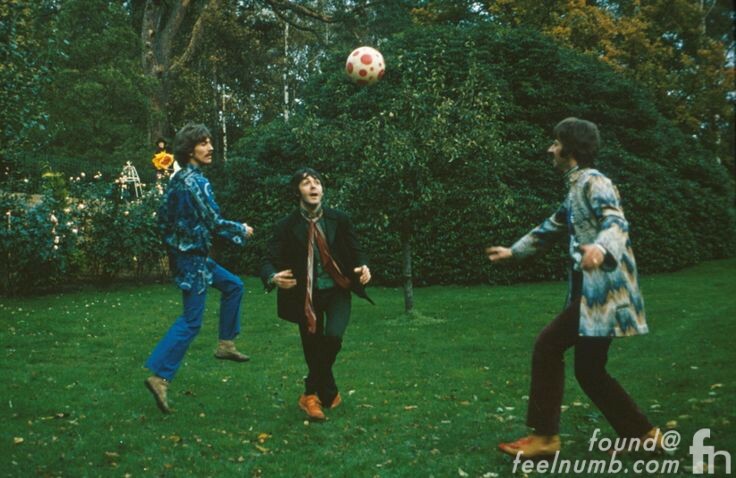 You probably wondering why John Lennon isn’t in these photos??? If you look really really close Lennon is indeed there. 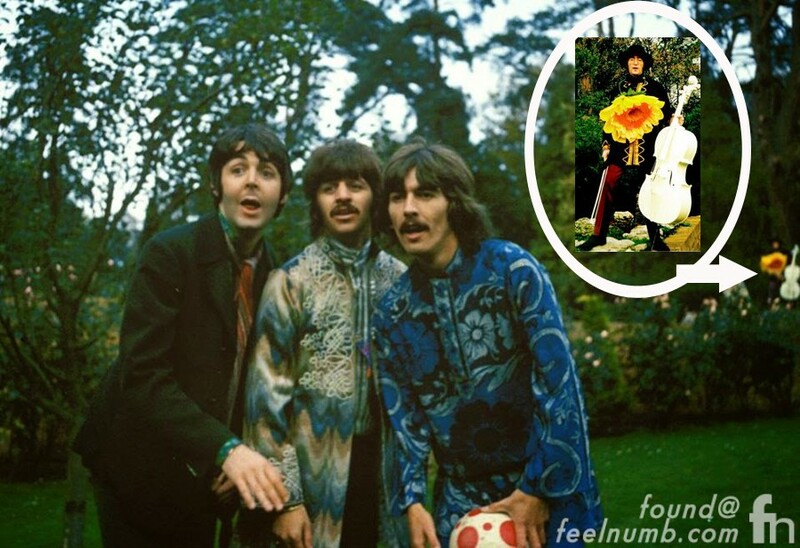 He’s just dropping a sweet photobomb on The Beatles from the woods holding a white viola cello with a huge sunflower around his neck. I love it!!! 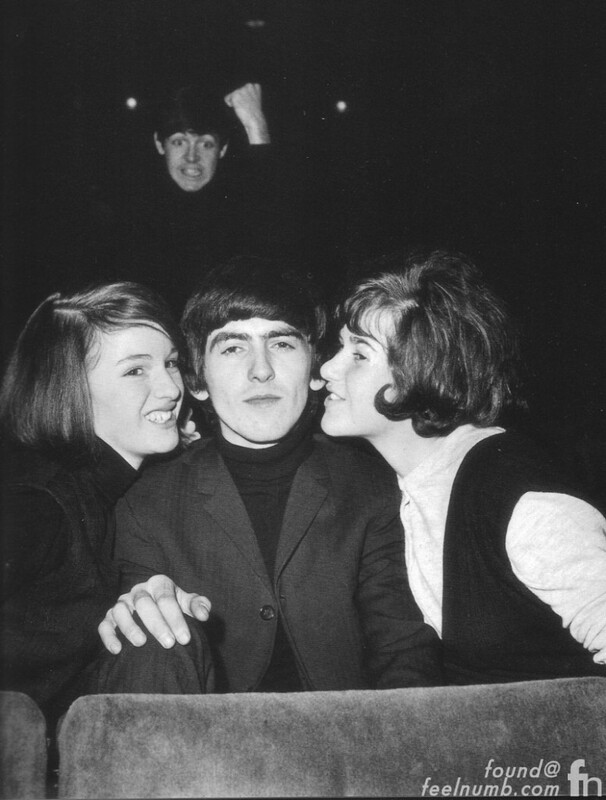 McCartney once dropped a really awesome photobomb on George Harrison and some fans. Click the photo to link below for that story.